YOUR PTA DOLLARS AT WORK - AND PLAY! 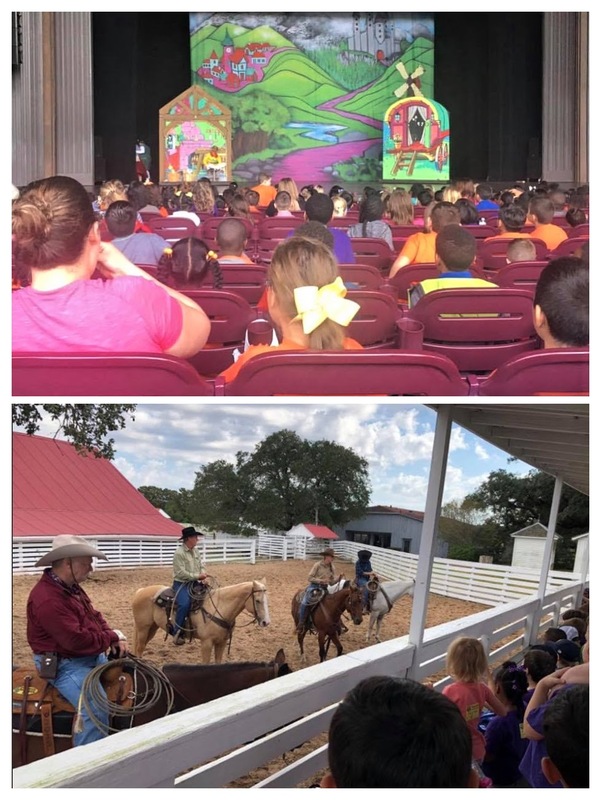 On October 30, kindergartners enjoyed a performance of “Pinocchio” at Miller Outdoor Theatre while first graders visited George Ranch Historical Park. Travis PTA was proud to underwrite both the transportation and admission costs for these field trips. Thanks to the teachers for organizing the events and emphasizing the importance of experiential learning. Thanks also to the volunteer chaperones who helped teachers keep things safe and organized!